After 41 years in Newport Beach, the Orange County Museum of Art (OCMA) has revealed that they will be building an entirely new museum in Segerstorm Center for the Arts in Costa Mesa, CA. The Newport Beach location closed on June 17th. 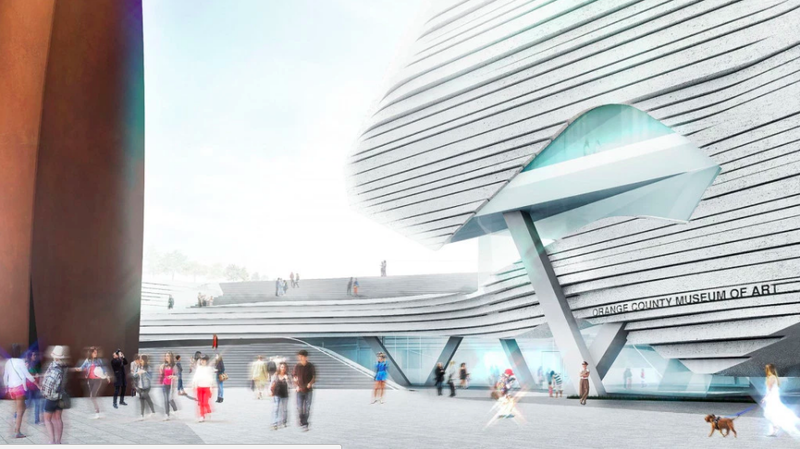 Global architectural and design firm, Morphosis, led by Design Director Thom Mayne is responsible for the design released for the museum and will also be in charge of construction. Mayne is a Pritzker Prize winner with his unique style of architecture that can be seen across the country. One of his most notable works is a nine-story, 175,00-square-foot academic center that houses the Albert Nerken School of Engineering in New York. If his previous is work is any hint of what should be expected, the museum is in great hands. Construction for the new state of the art building will take place in 2019, with hopes that the project will be completed by 2021. With 52,000 square feet to work with, the new building will feature 25,000 square feet of exhibition galleries and an additional 10,000 square feet for education programs, performances, and public gatherings, including administrative offices, a gift shop, and a cafe. Through Morphosis, the new and improved Orange County Museum of Art will continue to be a space for community influence and enrichment. The massive Richard Serra sculpture at the entrance will be a statement making gate way to a world of contemporary art that the museum has always been known for.